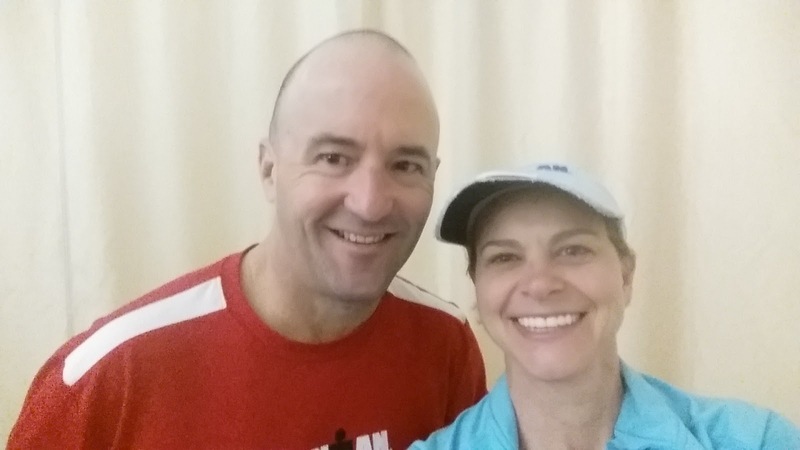 The continuing adventures of the Matchette Clan, post breast cancer diagnosis and treatment. Those words are part of most people’s marriage vows. Most people say them without a passing thought and move on until they reach an age when their health starts to fail. For most couples this is, thankfully, way in the future. Since Joe and I rarely do anything the easy way, our in sickness and in health moment came rather early in our marriage. 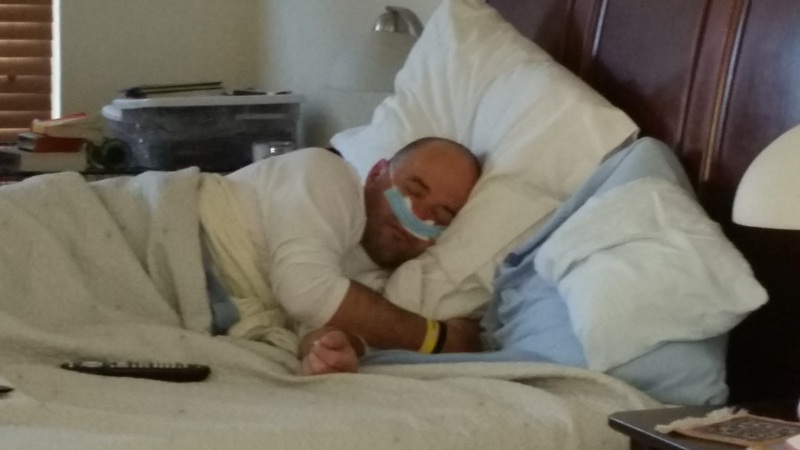 Joe was a trooper throughout it all – getting me to and keeping track of all of my appointments, holding my hand countless times as I was jabbed with needles, sitting by my bedside anxiously watching over me, changing dressings, shaving my head when the time came, taking care of the kids, etc. This past week, I was on the other side of the gurney. 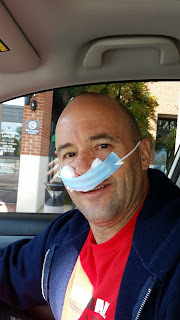 Joe had surgery to, hopefully, fix some sinus issues that he’s had for as long as he can remember. I dutifully went with him to his pre-op appointment and tried to let him ask most of the questions. I did, however, bring a notebook, with questions that were oddly reminiscent of my own questions about the surgery itself and post-op care: how long would the actual surgery take, how long would he be in recovery and when would I be allowed back to see him, aftercare, what physical limitations and for how long? That night we prepped the kids for the next couple of days – Dad was having surgery on his nose; he’d be pretty sleepy for a day or two, we needed to be gentle with him, etc. Needless to say, the kids were taken aback. Dad? Having surgery? Why? Was he okay? Mom was usually the one who had had surgery. Being Matchette kids, they took in stride and the rest of the evening passed uneventfully. Because of Joe’s early show time, we had to drop Josie off at our friends’ house so that she could catch the bus with our friends’ kiddos. As Joe was saying goodbye, Josie reminded him not to die. Gotta love kids! 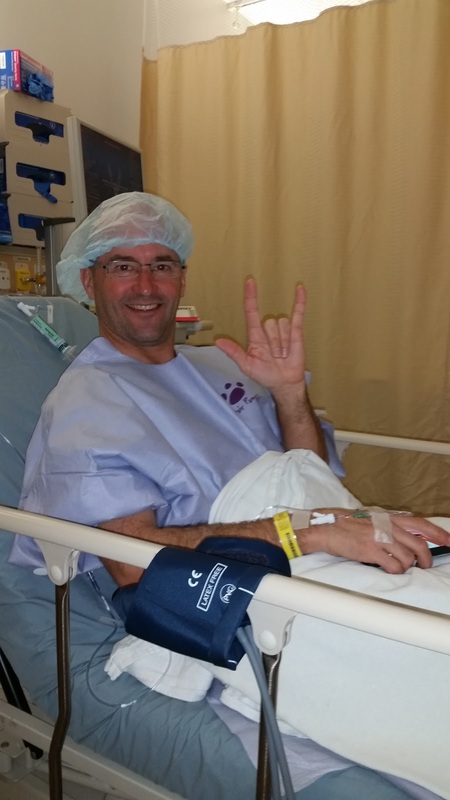 Joe list of surgical procedures is short to say the least – wisdom teeth and a vasectomy. That’s it. He has no recollection of how he did for his wisdom teeth, but I recall vividly how he did with the latter surgery. Even though he was only given propofol, Joe’s heart rate and blood pressure took an inexorably long time to recover. It was almost an hour before they’d even let me back to see him after they’d already told me he was awake. For his sinus surgery, he’d be under general anesthetic for over an hour on his back. 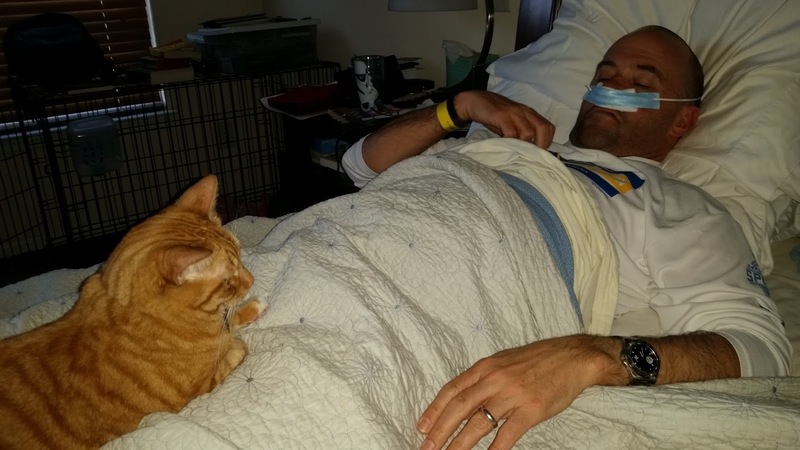 He has a bit of sleep apnea while on his back and has an extremely low heart rate and low blood pressure normally. I was a bit anxious, but knowledge is power so Joe told anyone and everyone about his “issues”. What a strange feeling it was to be the one sitting in the chair next to the gurney and not on the gurney. I could do the pre-op drill in my sleep I’ve done it so many times, but always from the patient perspective, not as the onlooker. I didn’t know what to do with myself. I gabbled on with a bunch of inane chatter to fill the void and to mask my anxiety. As a medical professional, I recognized it in myself, but was powerless to stop it from happening. Thankfully, the staff was great and let me prattle on, as did Joe. Finally, it was go time. I kissed Joe goodbye, told him I’d see him soon, turned and walked out the door to head to the gym as the orderlies wheeled Joe in the other direction. I had confidence that they take excellent care of him and do everything in their power to make sure he had a successful outcome, but weird things can always happen. My dad’s mantra of “Think positive and you’ll get positive results” kept going through my mind as I made my way to the parking lot. I’d asked repeatedly about how much time they thought it would be until the doc came out to chat with me. One hour to an hour and a half was what I was told. Better to go with the shorter estimate I thought as I drove the short distance on base to the gym. Normally, I’d have done a longish tempo run (~8 miles), but rather than risk missing the doc, I opted for a quick speed work session on the treadmill. Running is always my salvation; it clears my head like nothing else and is a glorious distraction. I got my run in, showered, dressed, hair, and makeup and was back at the hospital in an hour almost to the minute. I am quick when I need to be. As I was settling myself in the family waiting area, another woman looked up and asked if my name was “Jennifer”. Uh-oh! Even though I tell people my name is “Gen” they often want to formalize it and call me “Jennifer”. “CRAP!!!!! I’d missed the doctor,” I thought. Thankfully, after a quick phone call back to post-op by the darling receptionist allayed my fears; it was someone else’s family member the doc had been looking for. Thirty minutes later, Joe’s doc came out to tell me that Joe was done, he’d done great, and that I could go and see him in about forty-five minutes. Fantastic! I charged down to the pharmacy, picked up his meds and then over to the coffee bar for an iced tea because surely I needed to be hyped up more than the adrenaline coursing through my veins had already gotten me. <g> Right at about an hour, I was getting antsy as no one had come to get me. I was getting ready to ask the receptionist to call back again when a large jovial male nurse came out and beckoned to me. He apologized for not getting me sooner, but he and Joe had been having a good chat and had lost track of time. Whew! No concerns about Joe’s breathing, pulse or blood pressure, just Joe being his usual friendly self was the cause for the delay this time. Joe was pale but smiling wanly when he saw me. Relief flooded over me as I quipped, “How you doin’?” It was the same line I used on him after I was finally wheeled into my hospital room after my mastectomies. (My heart rate is also very low and I have this bad habit of not breathing enough or often enough when waking up after surgery, not to mention that I’d been under A LOT longer than they had hoped.) We both laughed and I knew he’d be fine. That, however, didn’t stop me from hovering and trying to do everything for him, and then getting frustrated with him when he tried to do things himself. Ah! So this must be how he felt with me! Well, we’re two peas in a pod. After several hours of monitoring him to make sure he was breathing okay, the doc released Joe to go home. Shortly after arriving home, Joe fired up his work computer, despite the fact that he had two weeks of convalescent leave. I always got onto the treadmill after surgeries; he apparently opted for technology. Methinks he was, like me fighting for a little bit of normalcy in a very odd sort of way. Joe had quite the post-op regime. Two antibiotics, two different pain meds, and two different nasal sprays and dressing changes that all had to be taken/done at different intervals. I don’t’ ever remember that much work for any of my surgeries/treatments, but then again, Joe took care of it all so perhaps I did. After several hours, I made a chart that Joe then made into a spreadsheet the next day to keep track of it all. We do like to take notes and make lists and spreadsheets in our family. Joe's nose bib came in handy! I’m not squeamish; so the physical part of the dressing changes didn’t bother me. Seeing Joe so uncomfortable did. He’s not used to not having control of what his body is doing. His head, nose and throat were sore and swollen. He had a perpetual bloody nose for days and had a hard time breathing due to the swelling and blood. He couldn’t exercise to get rid of the residual anesthesia in his system and he couldn’t sneeze unless he did so with his mouth open. Try it; it’s hard to do! He had to wear a “nose bib” to catch the blood. He looked a bit like the Lorax as one of the post-op nurses noted with some amusement. I couldn’t give him a proper kiss first because the nose bib was in the way and then because I was afraid I’d bump his nose and hurt him. You don’t realize the sweet delight of kissing the one you love until you can’t. I’m still afraid that I’ll hurt him if I accidentally bump him in the middle of the night. I dislike not being able to make him feel better; I really do. 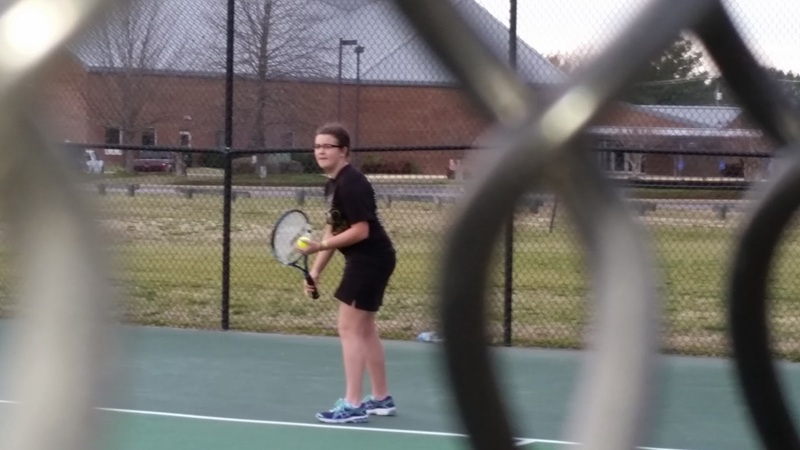 Michelle's first tennis match. They won. Joe’s surgery was a spur of the moment thing because his ENT had a cancellation. We had no time to make alternative arrangements for the kids that afternoon. Thankfully, I was not on for track practice carpool that day. Jamie could stay with Joe while I went to get Josie from chorus. Both of them had music lessons after dinner and I, in my head, thought that Michelle could stay with Joe while I ran them to their lessons and back. I neglected to remember that Michelle had a tennis exhibition match that day and would not be able to keep an eye on her dad. Thankfully, Joe’s a good sport and was not suffering w/the post-op nausea that I always suffer from so he gingerly got into the car and came along for the ride to the tennis courts and then to music lessons. While we were at Michelle’s match, our awesome realtor called to tell us that our closing went well and that we were now the proud owners of yet another house – this one with gorgeous views of the Rockies from our bedroom, family room, kitchen, and backyard. 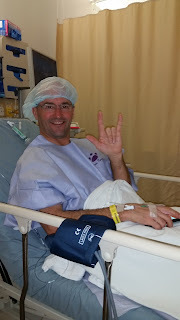 Joe made it through surgery and didn’t die, the kids are all healthy, happy, and engaged in activities that they enjoy, and we are one step closer to our next adventure. Life is good. It’ll be even better later this week when the splints come out of Joe’s nose. 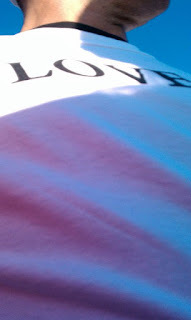 Five years ago, I was sitting on a gurney waiting to head into surgery for bilateral mastectomies. It was a long day for those that were waiting with me. The longer they had to wait, the less positive the outcome. Two procedures turned into four. The hours ticked by. Late that afternoon, I was finally wheeled from the recovery room into my patient room. Joe was sitting by the window. The show Friends was on the television, but I doubt that Joe was watching it. As he turned to look at me, I quipped in my very hoarse, best Joey Tribiani voice, “How you doin’?”. Joe smiled in relief. I think in that moment, he realized that I was going to be okay. Fast-forward five years. A lot has changed in five years. Despite our best intentions, our cancer adventure did cause a fair bit of upheaval to our friends and family. Not having to go through all of that might have been easier on us all, but then again, that little adventure of ours did bring about many positive things – deeper relationships, stronger bonds, mental toughness, laughter, love, knowledge, appreciation. Five surgeries, and fifteen months of chemo have come and gone. We both have lost weight, gained weight and lost weight. My hair has fallen out, grown back in, grown out, and gotten chopped off. We’ve moved to another state. Joe has changed jobs and gotten a promotion. The oldest is now learning to drive and taking college level classes. The middle child is working on his Eagle project in Scouts and running cross-country with the high school. The baby has now doubled her age and is turning out to be a pretty good little baker. Our beloved Sneakers and Tessa have both crossed over the Rainbow Bridge and we’ve welcomed two new furbabies into our home. Our Golden Boys are sweet and loving, but they have big paws to fill. We’ve lost friends and family members and gained some new ones. Some people have walked into our lives and settled right in and some have walked out. For all of the people that have chosen not to share part of our crazy chaotic life, so many more have jumped in and joined the ride. I remain forever thankful. Five years ago, I was on the every woman should get an annual mammogram after age forty bandwagon. I remember thinking that women were nuts if they didn’t get their mammograms or, if diagnosed with BC, declined chemo, surgery, or radiation. Five years and a lot of reading later, I’m a bit more understanding of individual choices. It appears that the tide is once again shifting with regards to breast cancer treatment. More and more literature is surfacing that indicates not all women need to have such aggressive treatment for early stage cancer and that maybe all of that radiation isn’t such a good idea. Is the literature correct? Five years ago, I was initially diagnosed with Stage I breast cancer. 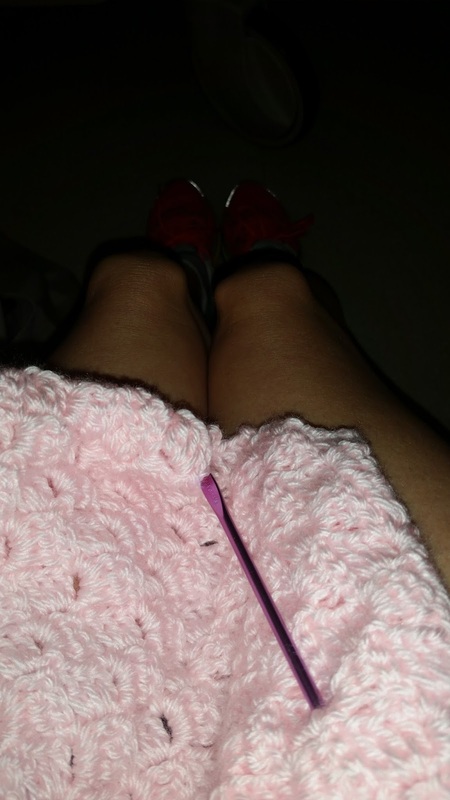 I chose to have bilateral mastectomies instead of the offered lumpectomy, radiation, and chemo. I thought since it was such an early stage cancer, removing my breasts would remove any doubt that the cancer would return or, worse, spread. Little did we know before I headed into surgery that my cancer had spread and was already at Stage III, less than a few short months after a mammogram indicated something to keep an eye on. If I had not been diagnosed with Stage I breast cancer until today, would I want to be the one who was told to “wait and see”? I doubt it. What if I was told that not all cancers react the same way or grow at the same rate? I like to think that maybe I’d be rational enough to try a wait and see. I think that, like I usually do, I would have whipped out my handy dandy notebook and researched the heck out of it! In the long run, I didn’t have much of a choice; the type of cancer that I had was aggressive and quick moving. It needed to be treated equally quickly and aggressively to save my life. Having my breasts removed probably did no good whatsoever; the cancer was already out of the breast tissue long before they were removed. At the time, however, it seemed like the best option with the information we had at hand. Do I think that every woman should be getting an annual mammogram today? I don’t know. I’m not sure if the benefits outweigh the risks. I do think that women should get baseline mammograms at some point in the their middle years when they are most healthy. After that, I would hesitate to recommend annual mammograms to women unless there was a family history of cancer. I say cancer because, while I didn’t have a close family history of breast cancer, I do have a family history of other types of cancer on both sides of my family. I think that relying on one’s own intuition or that of a spouse, partner or significant other is a good alternative to annual mammograms. I hope that cancer diagnosis and treatments are going to continue to change and evolve so that they are more individualized. One size does not fit all. October is Breast Cancer Awareness Month. It’s hard to not get swept up in the pink-out of education and awareness that we are bombarded with from every retailer, television station and athletic team, but I think that by now most of us are at least a little bit aware and educated about breast cancer. Instead, I wish we’d funnel more money towards organizations that are figuring out how to cure metastatic breast cancer or to improve ways to treat and detect all cancers. As a child, I was an early riser. I enjoyed the stillness of the house, as I got ready for school each day. The older I got, the harder it was to get up. During my college years, I worked second and third shifts so getting up an hour or two after I went to bed became out of the question. My night owl ways continued into adulthood and the snooze button became my intimate friend. The only time I have consistently woken up early and without the aid of an alarm clock is on my birthday. Each year, my body instinctively wakes up within seconds of my time of birth, 6:06am. Most often, no one else is awake so I’m not sure why this occurs; it just does. Often, I will fall back to sleep, reveling in the magnificence of what our brains are capable of. When the kids were small and not yet in school, I rarely had a need to get up early and so, I relied on the cries of an infant or a sweet toddler’s voice asking me for breakfast to rouse me from slumber. For more than the past decade, I’ve needed to get up early to get children ready for school, and poor Joe has paid the price because I am a snoozaholic. I’ve been known to hit the snooze button so many times that my alarm clock will whimper in defeat after attempting to rouse me for more than an hour. I set multiple alarms with multiple different ring tones at varying times to ensure that I, GET UP ALREADY! Joe’s least favorite tones are a Tarzan yell and a lively bagpipe tune. I’ve hidden alarms in our bedroom so that I have to drag myself out of bed to turn them off in hopes that, once I’m vertical, I’ll stay that way. Clearly, I have a problem. But, in my defense, it is a very rare thing that I am late getting up. “Wait a minute,” you say, “How can that be”? Easy. I have set so many alarms so early that I’ve allotted myself a multitude of snooze slaps before I subconsciously know when it’s time to wake up FOR REAL this time. “Just go to bed earlier”, you say. Well, when the kids were little, I/we stayed up later just so that I/we could have a little me/us time to spend with each other or to watch what I wanted on television or to read or to veg or whatever else I/we wanted to do without little people underfoot. They are now old enough and perfectly capable of putting themselves to bed, but they don’t. They, like Joe and me, get distracted reading or puttering around on the computer or their assorted electronic devices. Joe and I, therefore, must be the enforcers of bedtime as good parents are wont to do. Since their bedtimes get later and later, our “us” time is less and less. And so, the snooze button gets used more and more, much to Joe’s dismay since he has very little trouble getting up after hitting the snooze button just once. Bless Joe! He is such a tolerant man to have put up with my snoozing for as long as he has. He is also a smart man and a kind one. As I was trying to figure out what to give up for Lent this year, he cheerfully suggested that I give up my ridiculous over-reliance on my snooze buttons. I opted for giving up swearing, but I saw his point. It wasn’t fair of me to continually disturb his sleep by blaring Scottish bagpipes or having a Tarzan yell break the early morning silence and then listen to me as I jerkily slap blindly at my clock or cell phone to turn them off only to repeat the process three or five minutes later, depending on which alarm was going to go off next in the sequence. I let out a heavy sigh and agreed with his suggestion. I dutifully turned off my alarm clock alarms (yes, I had two), changed the alarm tone on a couple of alarms, opting for gentle morning noises that gradually increased in volume, and adjusted the time my one remaining alarm would go off. I left my Tarzan and bagpipe ring tones on my alarms to get the kids out the door because I still get distracted even if I am vertical. On Ash Wednesday, I was up and out of bed before the serene morning interlude even had a chance to rev up. Days #2 and 3 were the same. Day #4 was a Saturday – big training days for us and usually also occupied with kids’ activities. I got up with the alarm and that’s been the trend since then. I’ve only had a few days when I’ve hit the snooze; that was the deal – no multiple snooze button attacks. Even on Sundays when I get up at 0500 to get my long runs in before church, I’ve been good about getting up. The experts say that it takes six weeks to engrain a habit, be it exercise, eating right, or even not hitting the snooze button. I’m halfway there but I must say, I’m pleased with the results so far. I love being up in the morning but then, I always have. I enjoy the solitude, the stillness of the house. At dawn, the day holds so much promise and I love watching the sun come up. I still struggle with the desire to hit the snooze, to snuggle in closer to Joe for a few more minutes, but I’ve learned to resist the urge and just get up. My body is also responding to the new regime. I can barely keep my eyes open past ten these days. I get the kids to bed and generally collapse. This is worse than when they were babies. Maybe it’s just age - The next thing you know, I’m gonna want to hit the “Blue Light Specials”! The things we do in the name of religion. Ah well, it could be worse… Inquisition, anyone? When I was going through chemo, I was first diagnosed with exercise-induced asthma. After different treatments with only minimal positive effects, my diagnosis was changed to full up asthma, although it was only considered a minor case. As much as it bugged me, I went with it and dutifully took the medicine they prescribed – two inhalers and Singulair. One inhaler was a daily, two time a day one and one when I exercised, so almost everyday. I did this for two years. I was underwhelmed with the effects of the medicine. It didn’t seem to help much with my shortness of breath and I still had bouts of wheezing when I raced which my pulmonologist chalked up to a regular side effect of being an endurance athlete. It’s not. I’ve tried going off of my inhalers before, but after a week of being really short of breath, I’d realize that I really did need them and start back up again, grumbling the entire time. This summer, my pulmonologist decided that I could try a different daily inhaler that didn’t have a bronchodilator in it, just a steroid. “Great”, I thought, “Now we’re getting somewhere.” And then he gave me the instructions. Instead of the traditional L-shaped inhaler, the new one was tubular. That was not the problem. It was “how” the medicine was administered. You put the inhaler partway into your mouth and sucked. Every single time I had to use the inhaler, I felt like I was a “fluffer”. If you don’t know what that term refers to, lucky you. For those of you that do, you’ll understand my dismay. After a couple of months of this, I decided once more to try to wean myself off of this latest inhaler, since it, like it predecessor didn’t seem to be doing much good. Over a couple of weeks, I slowly weaned myself off of the offending inhaler, all the while still using my rescue inhaler with my workouts as needed. I also continued to use my Singulair despite my misgivings. I had only recently found out from a friend that Singulair could cause depression or depressive symptoms in some people. The pulmonologist neglected to mention this to me when I asked about potential side effects. I had started to wonder if my flare-ups of temper might not be exacerbated not only by living with a teenager, but also from the medication. Since I seemed to do all right without the daily inhaler, I started to also wean myself off of the Singulair. I was still breathing pretty well and my post-cancer allergy symptoms were kept at bay with just taking a daily dose of Zyrtec. Whoo hoo! Two medications down, two to go. After about a month or so off of the Singulair, I asked Joe if he had noticed a difference in my propensity towards flying off of the handle. I thought I had “evened out”, but I wanted an expert’s opinion. Joe is the closest thing to an expert on me as I can get. Notice a difference? He definitely had. Next up was the Zyrtec. Since it was winter, I figured that was as good a time as any to go off of the allergy meds – no pollens or allergens floating through the air, or so I thought. I lasted three days off of the Zyrtec. Coming from a family with a weakness towards seasonal allergies, I shouldn’t have been surprised. It was still a tied score and a bit of a stalemate, or so I thought. I was discussing my self-withdrawal from my meds with my BFF Carolyn a few weeks back. She has suffered from a multitude of medical conditions for a long time, including asthma, is a nurse and obstinate like me, so I trust her judgment implicitly. She too has attempted to wean herself off of medications with varying degrees of success. Having been her “voice of reason” more than once, it was time to check in with her. “But my heart rate is naturally really low,” I whined. Seriously, my resting heart rate is in the low 50s. Not a good idea was still Carolyn’s advice. “Okay,” I grudgingly agreed. I would try to not use my rescue inhaler more than a couple of times a week. So far, so good as long as my workouts are inside. The few times that I’ve attempted to do a workout outside or a race, I end up very short of breath or coughing and wheezing. I’ve cut my inhaler usage down to only a few times a week. Yay, me! Meds – 1.5; Gen – 2.5. I’ll take it! I often wonder why my symptoms have improved so much within the past year. The doctors have told me repeatedly that all of the toxins and side effects of the medications and chemo should have been out of my system within a year of finishing it all. If that were the case, my symptoms should have abated well over a year ago. It was only this fall when I felt like things started settling down again. Even my arm stopped swelling as much as it used to. I now only wear my sleeve about once or twice a month. Perhaps some of us just take longer to get rid of everything? On another positive note, after my appointments with Dr. B and Dr. C last month, I have officially graduated to only seeing them once every six months for the next two years. All of my labs came back fine; my tumor marker even dropped from 12 to 9. Dr. C did my annual ultrasound (aka, the BC gal’s version of a mammogram) and ordered a bone density screening as he noticed some changes to my posture. The bone density screening came back normal as well, so I guess I just need to work on my posture for the next six months until it’s time to get another checkup. For years, Joe and I have been trying to add more and more healthier foods into our already varied diet. I say already varied because this is what happens when you have one person who lived in Europe and Asia marry another person who, while she never lived abroad, had parents who were foodies before it was cool. While we don’t go for weird or too far out there, Joe and I have always been willing to try new cuisines. Our first official date was to an Indian restaurant. Neither of us had ever eaten Indian food, but we were game and we’ve never looked back. During our financially lean years, our food choices and variety were a bit limited, as well as my time to prepare them. This is what happens when you go from being DINKS to being first-time parents on a first-year airline pilot’s salary and a stay-at-home mom. It was our choice,yes, but the smaller salary than a first-year teacher was quite a shock to the system! We did the best we could, but there was a lot of Hamburger Helper eaten in our house during those first couple of years. 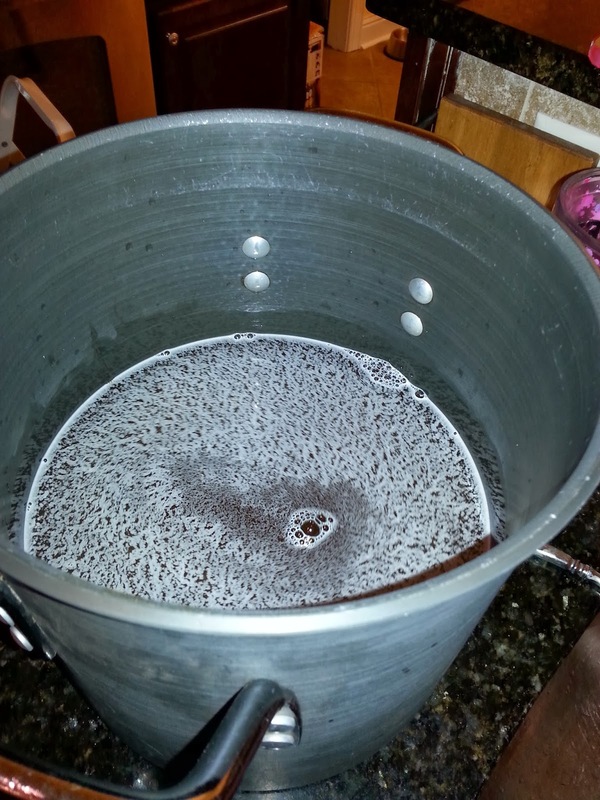 It was quick, easy and inexpensive; all things that I needed to feed my family. I used as much fresh food as I could and even made my own baby food, but our budget just couldn’t swing the organic foods that were becoming vogue. Occasionally, I’d look at the organic milk prices and gag. Who in their right mind would pay that much for organic milk??? Thanks to some savvy friends, I started thinking that I really should be feeding my kids at least some organic foods if at all possible when Jamie was a baby. I’d just have to make a few more concessions. At his nine-month check-up, Jamie fell off of the growth charts. He was not growing as fast or as much as his peers. After tons and tons of testing, the docs diagnosed him with short-stature resulting from a benign genetic anomaly. One chromosomal anomaly came from Joe that in and of itself, causes very few people to stand up and take notice. However, when it is paired with the Cystic Fibrosis gene that Jamie inherited from me, the resulting side effects can lead to short stature and infertility. Organic dairy, fruits, veggies, chicken and beef have been somewhat mainstream for a while now. Living in a small city, I make do with what I can. As the kids have gotten older and need me less, I have more time to make more and more things from scratch so that helps. That Hamburger Helper that I used to rely on so heavily when the kids were tiny? Well, I can make an ever better version from scratch. Case in point: I went away on my Mommy Girls’ Weekend last year and, when I came home, the kids raged about the “AWFUL” thing Dad had made them. That “AWFUL” thing -- Hamburger Helper from the box. When I informed them that I make it for them they insisted the box version was nothing like my homemade version!! 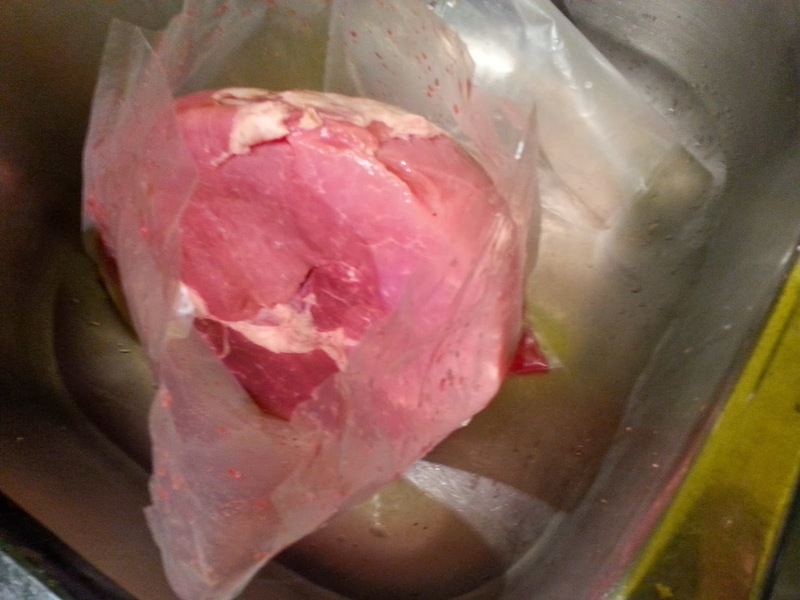 While I could easily get organic beef and poultry, although not cheaply, I could rarely find organic pork. 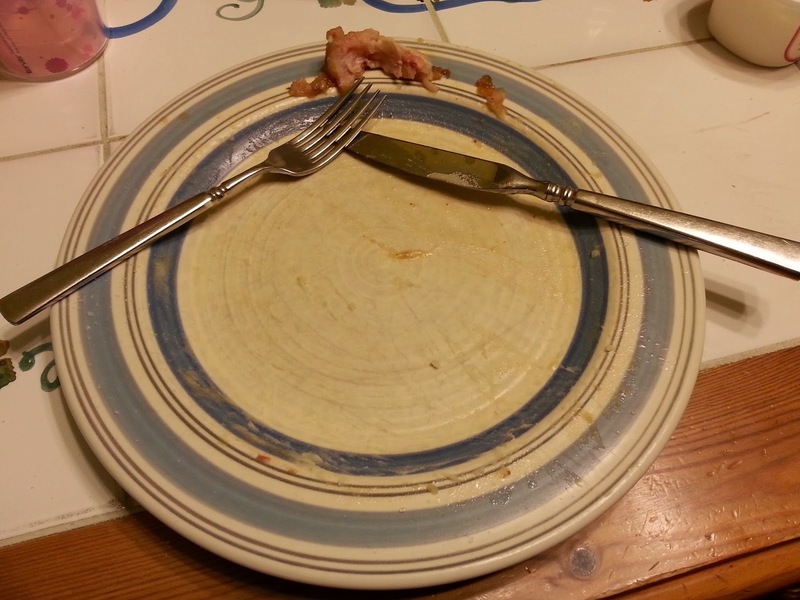 That was tough because this family LOVES pork – ham, bacon, chops, roasts, bacon, bacon, bacon, you name it! I mentioned this in passing one day to my massage terrorist to which he commented that he had a friend that raised organic, free-range pigs. Well, glory be! I started out tentatively, getting some organic pork sausage. After that, we went “whole hog” and split the cost of a pig with friends who were also trying to go towards a more organic lifestyle. I started clearing out the freezer to make room for our half of a piggy. Being true to form in my love for animals, I felt badly on the day that our porker was taken to the processor – translation: butcher. Ernest, our processor, is a good old Southern gentleman. I missed about every third word when he called to discuss what cuts of pork we wanted. Having never ordered up a half of a pig, I was clueless. I told him that we’d like some chops, some ribs, ham, bacon, and ground pork, but I’d leave the details up to him. When I hung up the phone, I told Joe I had no idea what we were going to get. When the time came to go and get our piggy parts, we piled all of the kids into the car and drove the forty-five minutes to Ernest’s shop. We wanted the kids to know kind of where their food came from. Ernest, we discovered, has a soft spot for kids. Jamie was crashed in the car having just returned from a Boy Scout function and Michelle was frantically working on homework, but Josie was all eyes and ears. Ernest was in his element. He took her and Joe and me through the coolers where there were carcasses of wild pig, deer and cow hanging. We went past two Muslim gentlemen who were busily butchering a goat and peered into the “parts” bin. Josie asked intelligent questions and was interested in everything from the carcasses to the equipment Ernest used in his craft. 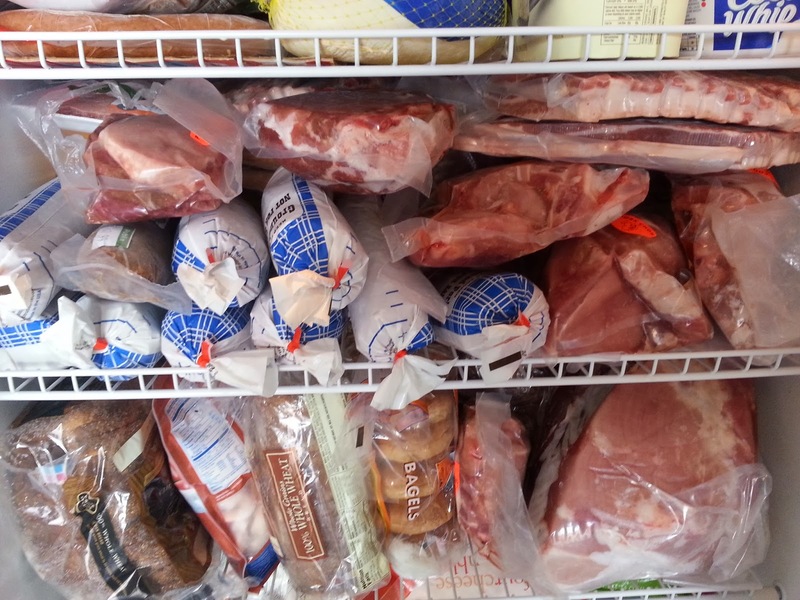 Fred, as we had christened our pig that gave his life for us, took up one and half shelves in our freezer and was, when we did the math, much cheaper than even the non-organic pork from the grocery store. The chops were thick, as was the bacon, and the hams were HUGE, but alas, uncured. 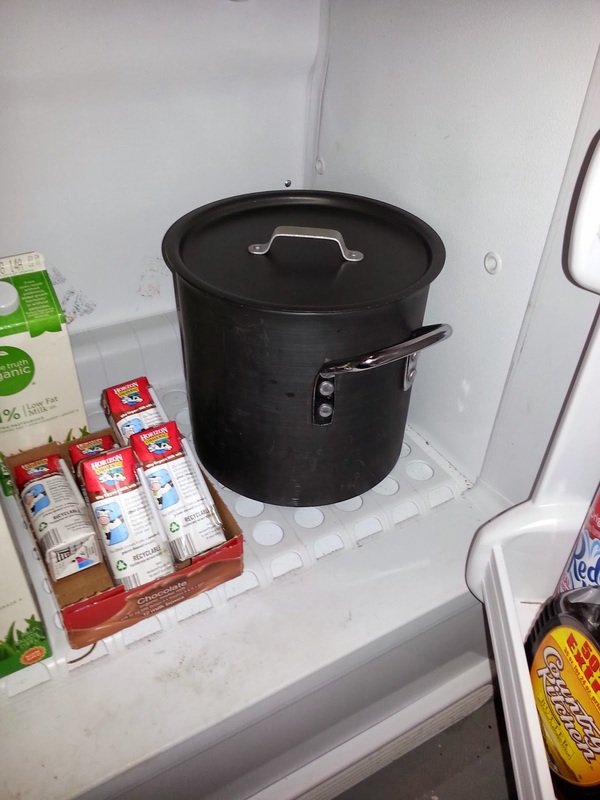 We got everything that we asked for and even a few extra bones in case I get a hankering to make some split pea soup, which, unless my parents come for a visit soon, I probably won’t. 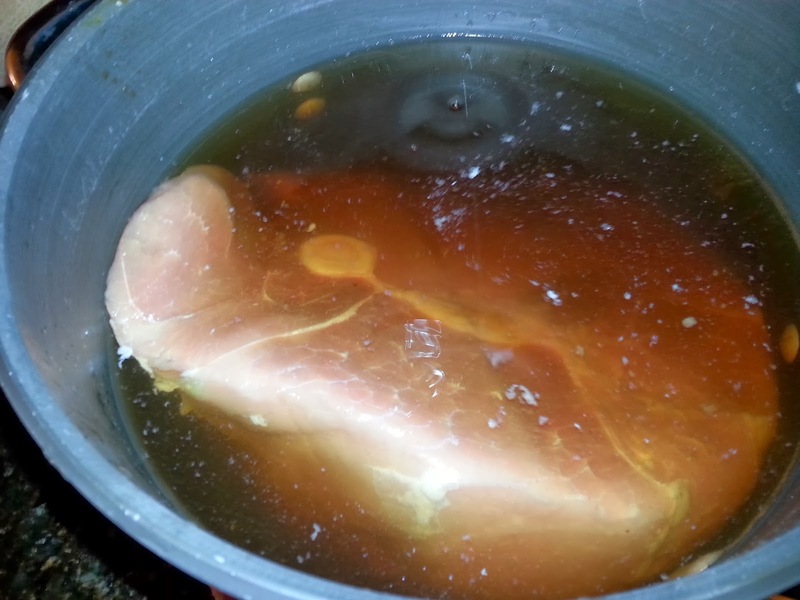 I thawed out a ham that was bigger than the cat, made my brine, stuck the ham into the largest stock pot that I owned, stuffed it into the fridge and prayed that in a week’s time, I’d have a ham and not a ten pound botulism infested hunk of organic pork. After the allotted time, I pulled it out of the stockpot. 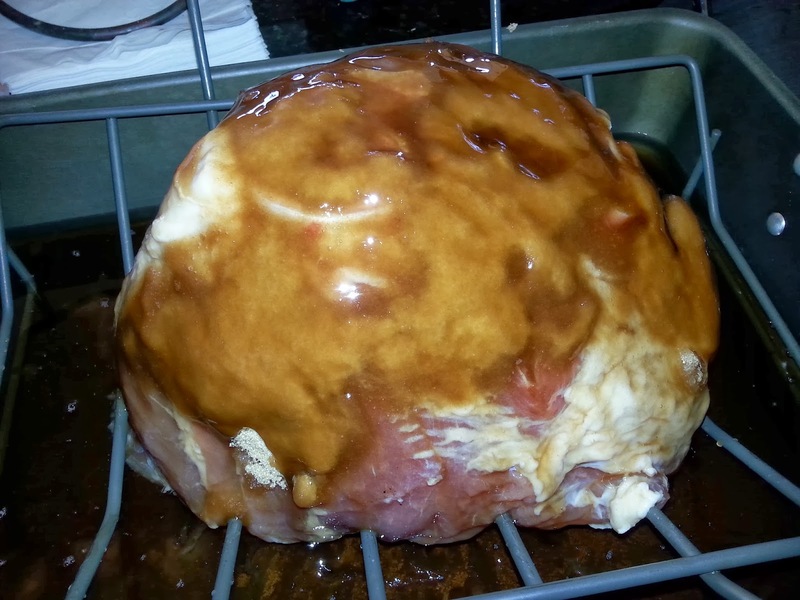 It looked like ham, but it still needed to be cooked. 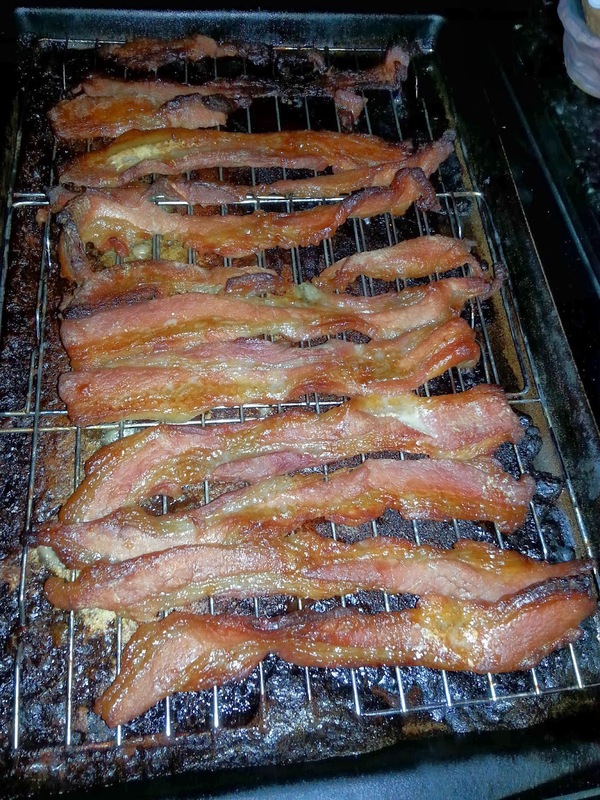 I slathered it with brown sugar and maple syrup and put it in the oven to cook slowly throughout the afternoon. Hour by hour, the house began to smell more and more like ham. Dinnertime came and we sat down to taste home-cured ham of Fred, mashed potatoes and asparagus. Fred was oh so delicious and no one died of botulism. It truly was as easy as the websites made it out to be and the result was so much cheaper, tender and healthier than what we could have bought in the store. Despite initially being so far out of my cooking element, I had done it. 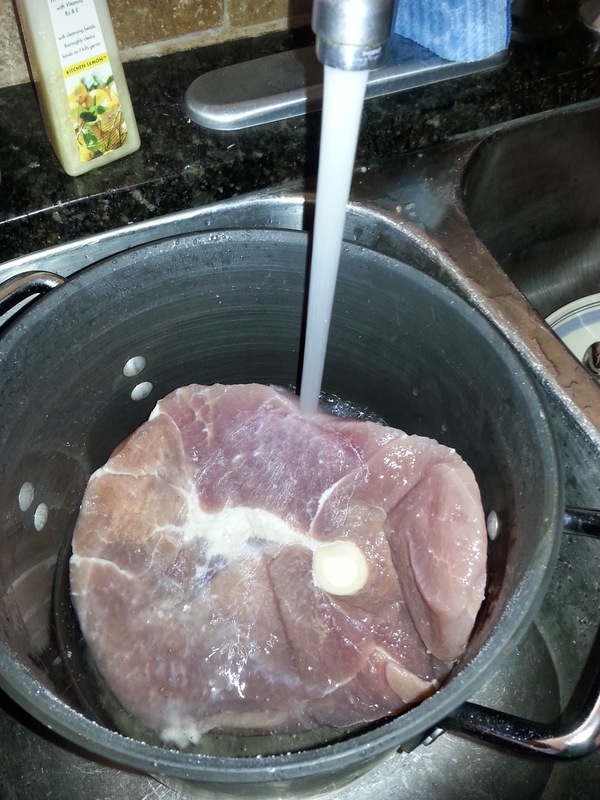 Deposit the ham in the brine. Put in the fridge for a week. After a week, rinse off the brine. Cover it with brown sugar and maple syrup and slowly bake it. Paired with taters and a veggie - delicious! 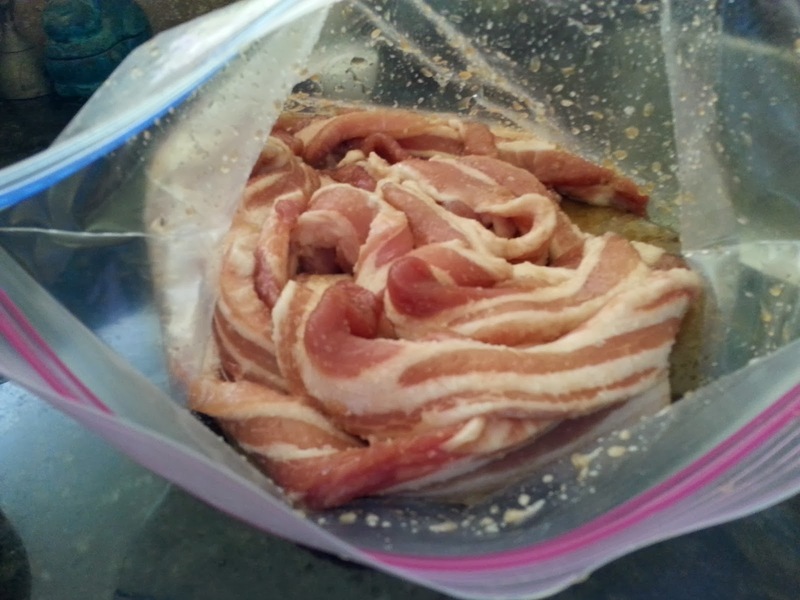 Bacon ready for its' brine. Tonight, I'm sleeping with Batman! The bad news is that I didn’t get a PR and that I got a gash to the head right before the start of today’s race. The good news is, tonight, I’m sleeping with Batman! Today we ran the Museum of Aviation’s Half-Marathon for the sixth year in a row. We have run it every year since we moved here. It was my very first ever half-marathon, so I’m a bit nostalgic about the race. It wasn’t pretty, but I even did it the year I was going through chemo. We usually have a big gaggle of friends from our Crazy Joes team and it’s loads of fun seeing everyone out on the course. Invariably, we have one or two people doing their first half or full marathon. Being the consummate cheerleader, running them in or cheering at the finish line is my favorite part of the race. 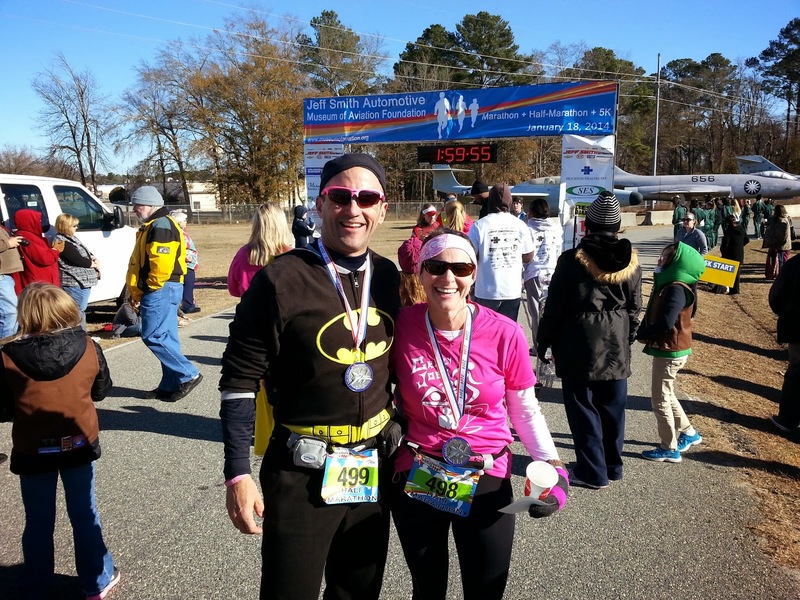 This year, I got to run in my fellow BC buddy Jane as she ran her first half, on her birthday nonetheless! Being that the race is in January, it is almost always cold. I don’t mind; I enjoy running in the cold. This year was no different. The temps were in the twenties when we started and rose to the low thirties when we finished. No biggie. That’s what trash bags are for. I actually wore mine longer than normal, keeping it until mile four because I decided to leave my jacket behind (more on that later). In addition to the unusually cold temps we’ve been having, we’ve also been having a lot of rain this winter. So much so in fact, the road on the back side of the run course got washed out. That’s a lot of rain! Because of the washed out road, the race officials had to reroute the course. Instead of making a loop of the base, we did an out and back. This is bad. Not only did it make the course a bit boring <Boo!>, but also the marathon course is normally a Boston Marathon qualifier. The new course could not be certified, therefore, no Boston qualifying. Double Boo! This morning dawned cold and windy, just how windy we were soon to find out. I dragged Joe out of bed at 0500 to come with me to volunteer for packet pickup. I did my stint passing out packets with smiles and words of encouragement. We then posed for the Team Crazy Joes pre-race picture that, as Team Mom, I always cajole, nay guilt everyone into doing. And then, it was almost go time. I went to put something in my bag that was stowed under one of the jets on display (Only at a military race do you stow your bags under a jet, right?). As I stood up, I whacked my head on the nose of the jet. I whacked it so hard and as hardheaded as I am, my eyes started watering and I saw stars for a second. Being the medical professional that I am, I immediately started a self-assessment. I knew the date, time, where I was and all those general orientation questions. I was not dizzy or nauseated, but I did have a headache, go figure. Alrighty then. I said a little prayer that I didn’t begin vomiting or have a seizure on the course and it was go time. Joe received a set of Batman jammies from his Endurance Nation teammate and secret Santa Shannon for Christmas. He was subsequently tripe-dog dared to wear them for a race. Joe will do just about anything for a good, so it was game on. Since he’s been plagued with heel pain from his plantar fasciitis, he knew there was no way he would PR. Instead, he said he would pace me. Yay! Not only would I be running with Joe but I’d be running with Batman. How lucky can a girl get? Before the race, I told Joe that I’d really like to try for a PR. I’d have to run about 8:45s to get a PR, something that I knew I could easily do for a 5K and could do on the treadmill, but was unsure if I could sustain on an outside run. Turns out, I couldn’t. I did fine on the first three miles. And even mile four wasn’t too bad, but then we hit the WIND! Joe doesn’t think the wind was that bad, but he must have been running in a different wind than the rest of us. Everyone else that I spoke with after the race spoke of the same wind to which I refer. At mile nine, the leg cramps hit, but rather than admit it to Joe, I kept running, just slower than I had been. Our buddy Jerry passed us on mile ten. There aren’t many people that I don’t mind passing me in a race but he’s one that it didn’t bother me. I tried to step it up on the final mile and was cheered to see our friend Josh (who graciously took my water bottle) and heard several others cheering me on. As I rounded the corner for the last push to the finish, I did a lot of self-motivating talk and scanned the finish line for my Brownies who were volunteering at the finish line. As I crossed the finish line, I was engulfed in a sea of little faces pushing water, tissues, hugs and a medal at me, all of them talking at once. What a rewarding way to end a race! Poor Joe. I don’t think anyone but Josie even noticed that he crossed just a second behind me, his Batman cape fluttering in the wind. As with any race, I goofed up some things, but I was happy with other things. I goofed up by not starting to eat my bananas a few days before the race to ward off cramps. I should have done more outside running than I have to prepare myself for running in the wind. I did fuel and hydrate well during the race, but after running more than a dozen other half-marathons; I think I’ve figured out my system there. I was appropriately dressed; I am a freak in that I really don’t mind running in the cold. And, after running this race for five years previous, I finally ran up the hill on mile ten. THAT was a huge milestone for me! I would have loved to have gotten a PR, but after thinking long and hard about why I don’t push myself just that little bit more, I shared my theory to Joe. I think I’m afraid to push myself from fear of injury and fear of a full-blown asthma attack. I’ve had so many injuries in the past few years that I’m now more timid during races and in training. I don’t want to backslide. Prudence over folly I say. I am always short of breath for several days after any half-marathon I run. In fact, I started coughing within minutes of crossing the finish line. I had used my inhaler before the race and had to do so again shortly after the race. After we got home I coughed almost non-stop for two hours before my lungs started to settle down. Talk about an abdominal workout on top of a cardio workout! A couple of years ago, I asked my pulmonologist about my shortness of breath after races and he laughed and told me that he’d probably feel the same way. Even though the shortness of breath and coughing are a nuisance, I can deal with both if I can continue to race. I’m afraid if I push myself even more, I’ll throw myself into a full-blown asthma attack out on the course and wind up in the hospital. I love to run, but that’s not a cost that I’m willing to pay. I feel a bit wimpy saying that, like I should be able to “handle” or “control” my asthma better, but I guess with age comes wisdom, right? As athletes, we all have our rituals and checklists. Certain clothes need to be worn and aren’t worn for several weeks before the race just in case there is a cataclysmic breakdown of all washers and dryer in a six state radius of one’s race. Bags need to be packed with the precision of a NASA employee sending someone to the ISS. And then, there’s the nutrition… When you’re young, it’s not as big of a deal. You can eat pizza and drink beer until two in the morning, get up and race the next day like it’s just another day at the office. Not so when you’re middle-aged or beyond. Meal planning starts days, weeks or sometimes months before the race. We all know that fiber is usually our friend. Not so a couple of days before a big race. Fiber + big race = big dump… in a port-a-potty… out on the course… where TP is not always accessible. Not fun. Yes, as athletes, we’re a quirky bunch. Joe saves his checklists from races and we eat the same thing (if possible) the night before a race – “Dad’s Easy Chicken”. He has me write some phrase of the day on his arms before his Ironman races. And, Joe has instilled in me the need to get a good night’s rest two nights before the race, because he says that’s the sleep you race on, not the sleep from the night before your race. My buddy Stefanie paints her toenails bright pink and her fingernails black to remind herself to be tough, but to have fun. Don and Megan eat cinnamon rolls for breakfast together on race day. I wear something pink, to remind me to remember those that can’t race. Coffee and McDonalds on race morning are also popular with our crowd. Now, those that know me and know my wardrobe will tell you that while I love bright colors, I’m not a pattern kind of gal. Being as petite as people tell me I am (I’m not that small, people! ), I generally stick to solid colors or small patterns. And things must match! I loved Granimals as a kid. There is a reason my scuba instructor called me Gap Girl. The only reason that I even had a zebra print headband was because it was included in a multi-pack of headbands. Since I was wearing purple and black workout gear today, I figured it “went” well enough. But, I digress. Back to my newly formed and soon-to-be-instituted ritual –an animal print something or other to make me feel bold, to make me feel, strong, to make me feel fast… Yeah, I know. A girl can dream. 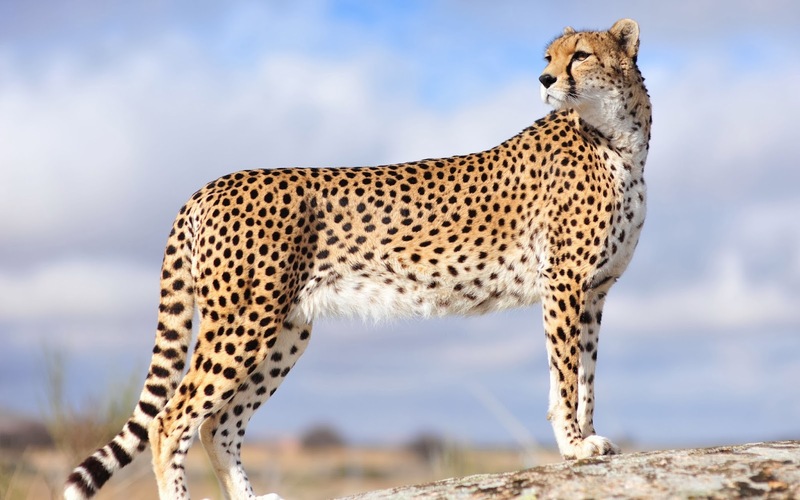 What’s the fastest land mammal? A cheetah. “That’s it! 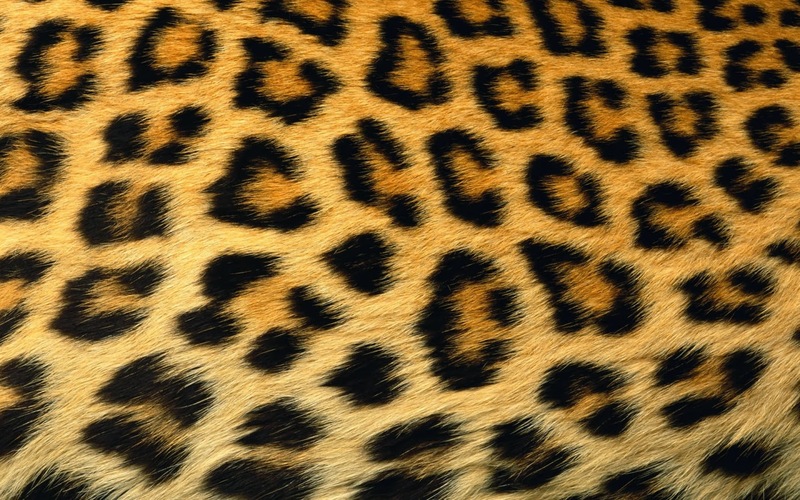 I’ll find some fun cheetah-print item to wear when I race,” I thought. But then I started thinking about cheetahs. While they may be the fastest land mammals, they are sprinters and peter out after only a few short minutes of work. I am a distance athlete. I need to swim and bike and then run some more to reach the finish line. And, when you look at a cheetah’s success rate, it’s pretty paltry. Only fifty percent of a cheetahs hunts are successful. And really, how many of us really look like the human version of a cheetah? Well, yeah, Chrissie Wellington or Meredith Kessler do and Andy Potts or Jesse Thomas, but I’m talking about regular real people, not pros or genetic anomalies. According to the website, zebras have excellent eyesight (For seeing the course clearly, my dear. ), great hearing (The better to hear the competition coming up behind them, my dear. ), and excellent sense of taste and smell (To smell the competition’s fear and to taste sweet victory, my dear.). It stated that zebras are short, stocky, social animals. Zebras were sounding more and more like me than the lithe, beautiful solitary cheetahs. Next I checked Google to see how fast zebras and cheetahs could run. Here’s a nifty little website although they don’t have cheetahs as one of their highlighted animals. http://www.howfastcan.com/a-zebra-run/. 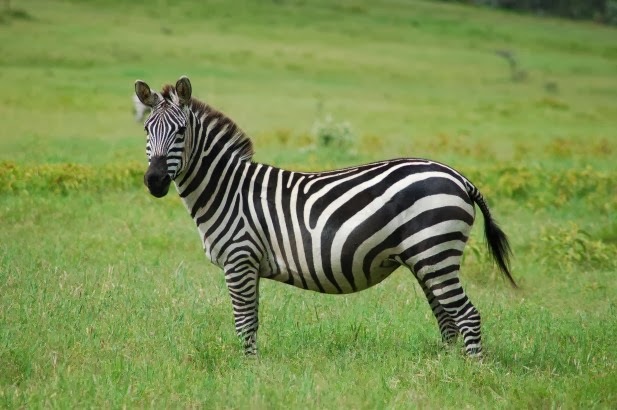 According to this website, zebras can run up to forty miles per hour. A cheetah can go from zero to sixty in less than three seconds, but remember… its’ success rate for kills is only about 50%. Talk about good odds for the zebras, especially when you take into consideration that the cheetahs aren’t always targeting only zebras. I’ll take the zebras’ odds any day. I know. I know. What about when you factor in the kill rates of lions with the cheetahs against the zebras? 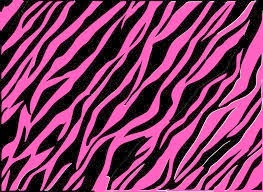 I still think the zebras would be ahead of the power curve, and have you EVER seen ANY lion-print accessories? Work with me here. So, based on my not-so-extensive or scientific research, I think that when I compare animals in the animal kingdom; I am more like a zebra than a cheetah. Look for my super-cool zebra print accessories that I’ll be sporting this season. I hope that it’ll make me faster. If not, I’d better practice my dodge and weave technique to avoid the cheetahs out on the course. This is probably my favorite picture of the two of us. It was taken in Kona, HI in October 2011 on a snorkeling trip. We were blessed to have so many of our friends and family there with us to watch Joe compete in the 2011 Ford World Ironman Championships. What a great way to celebrate the almost end of my treatment! I raced this race just weeks after getting my BC diagnosis. It rained for almost the entire race, but I didn't care. This was my last race before I started treatment.